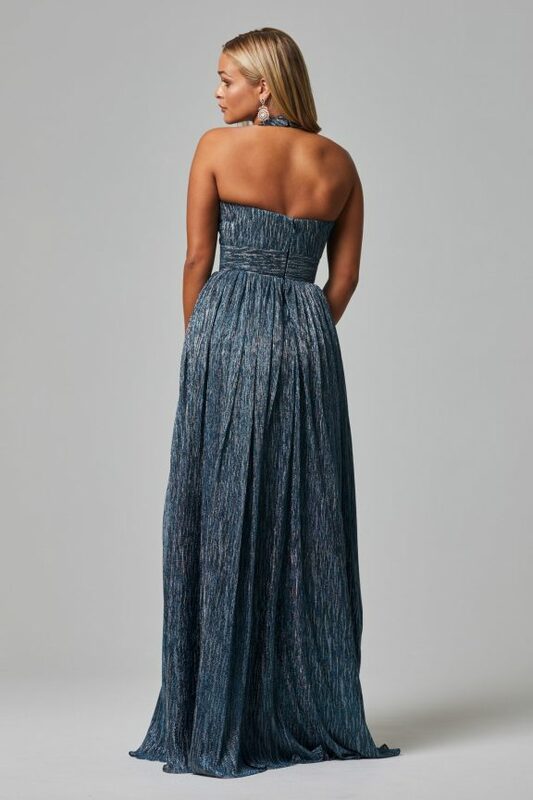 Feel every bit the aquatic goddess in the Oceana evening gown, with structured crinkle stretch fabric falling from a strong waistband to sultry high-split skirt. The striking Oceana evening gown by award-winning Australian designer is flattering for a range of shapes and sizes. Contact your nearest stockist to find out more about this beautiful black tie gown.